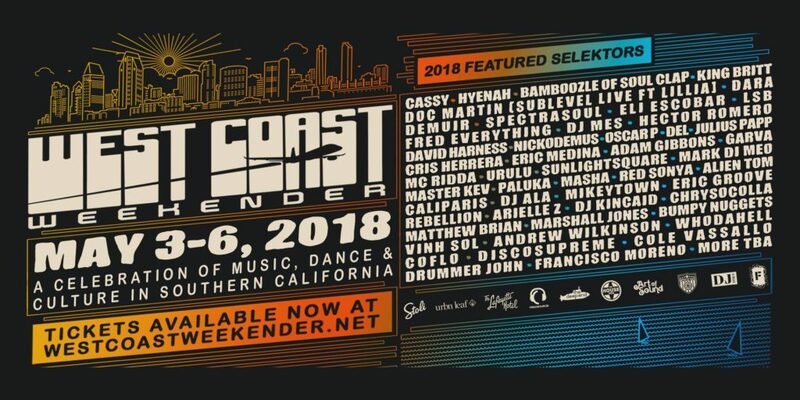 West Coast Weekender is a celebration of music, dance, and culture in Southern California. 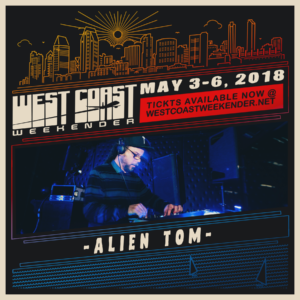 The music conference and festival is blossoming right alongside San Diego’s incredible cultural renaissance. 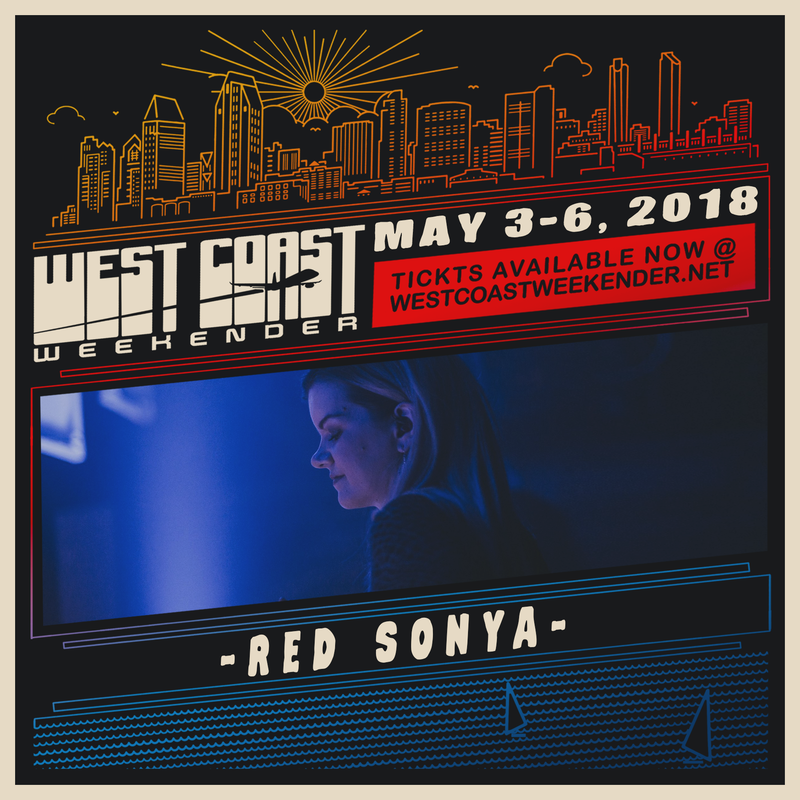 With nearly half of attendees coming from out of town, the West Coast Weekender audience rings in a truly one-of-a-kind vibe. The influx of activity—plus the San Diego underground community’s enthusiasm—creates an infectious, old school energy that’s of another era. 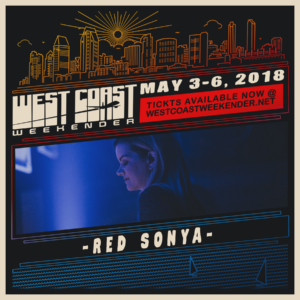 Get your festival weekend passes today! Alien Tom and I are playing poolside on Friday, May 4th for a special Red Alien Invasion set of house & techno. The lineup is stacked day and night all weekend, we can’t wait for our Staycation here in San Diego! Immerse yourself in the music, art, and community at the eclectic Worldbeat Cultural Center. Located at the world renowned Balboa Park, WorldBeat Center will play host to the festival on Friday & Saturday. 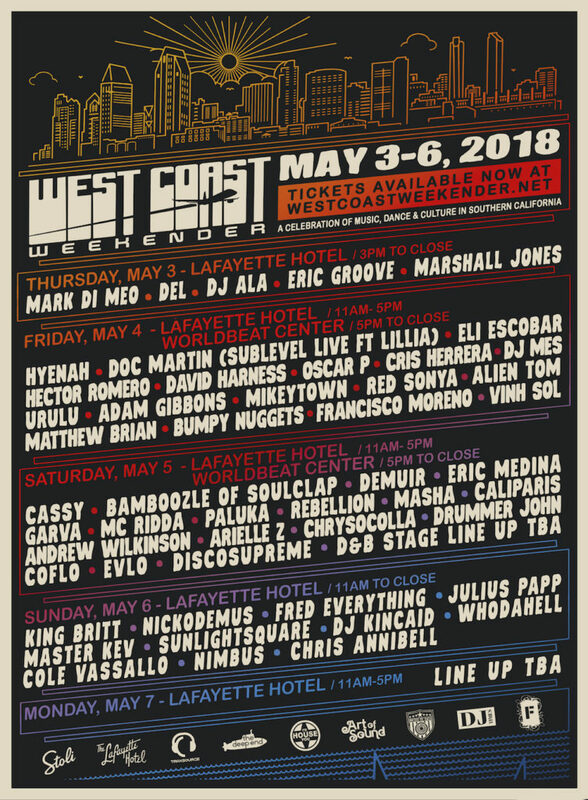 The Lafayette Hotel, Swim Club & Bungalows is the official hotel and conference space for West Coast Weekender. It is located right at the junction of San Diego’s hip University Heights and North Park districts and just minutes from the festival grounds. Start your day with brunch and poolside entertainment sponsored by Stoli Vodka. Panel discussions, workshops, and yoga sessions will be offered throughout the weekend.